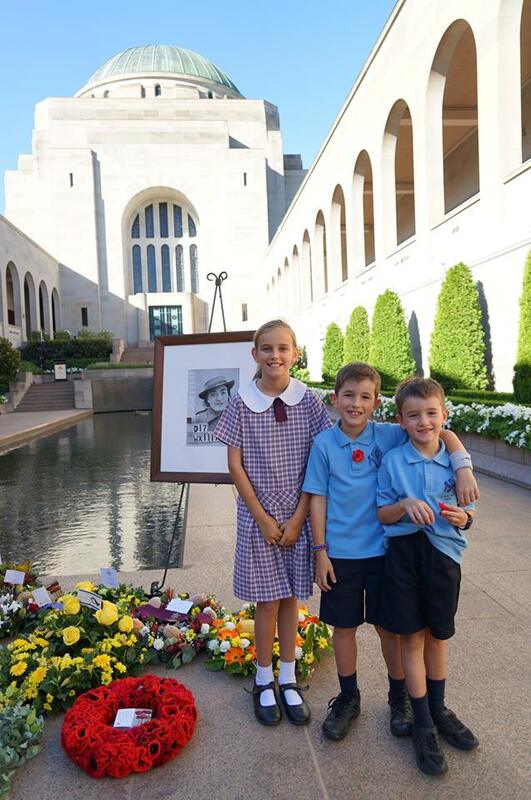 Amelia and Thomas from St Thomas More Primary in Campbell were honoured to represent the school at the Last Post Ceremony at the Australian War Memorial on Monday, February 11. 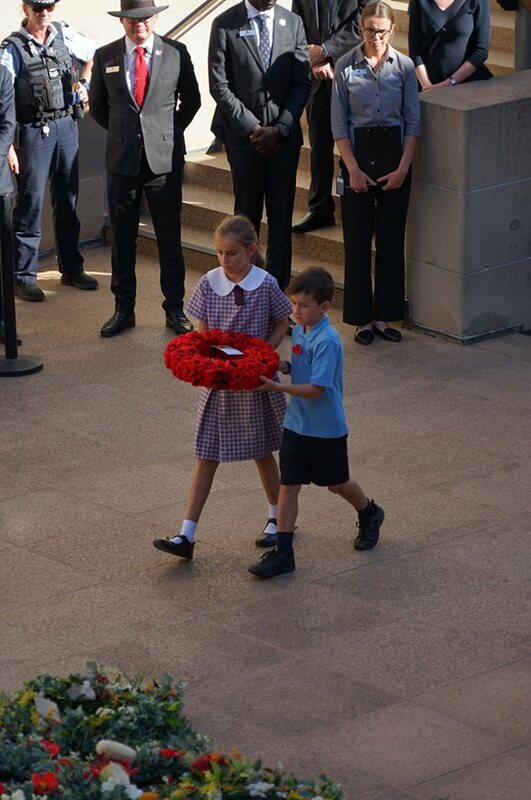 Amelia and Thomas had the very important job of laying the wreath on a day that coincided with the opening for 2019 of the 45th Parliament. 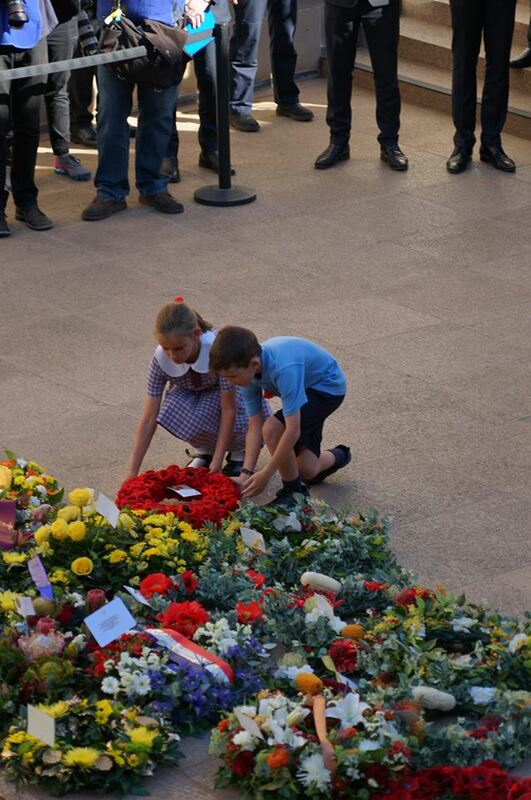 The ceremony begins with the Australian national anthem followed by the piper’s lament. 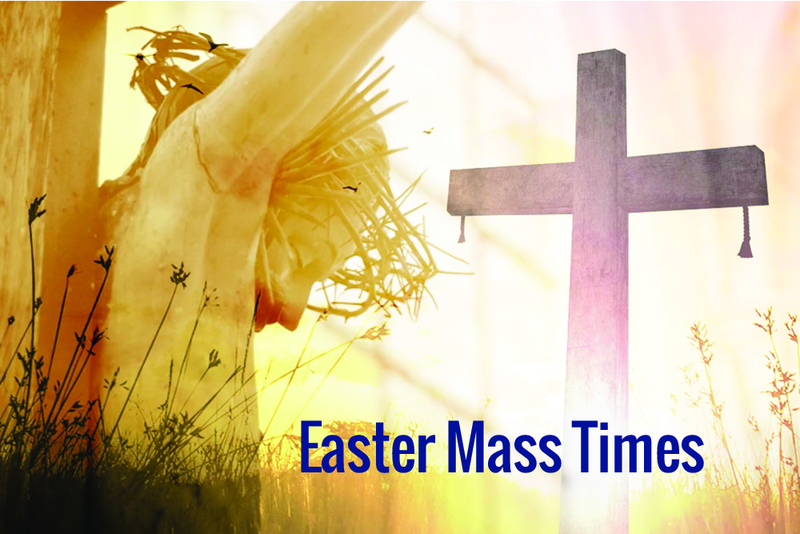 Visitors are invited to lay wreaths and floral tributes beside the Pool of Reflection. 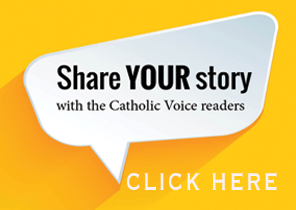 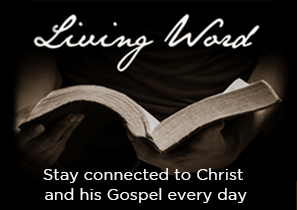 An individual’s story is told, and the Ode is recited by Australian Defence Force personnel. 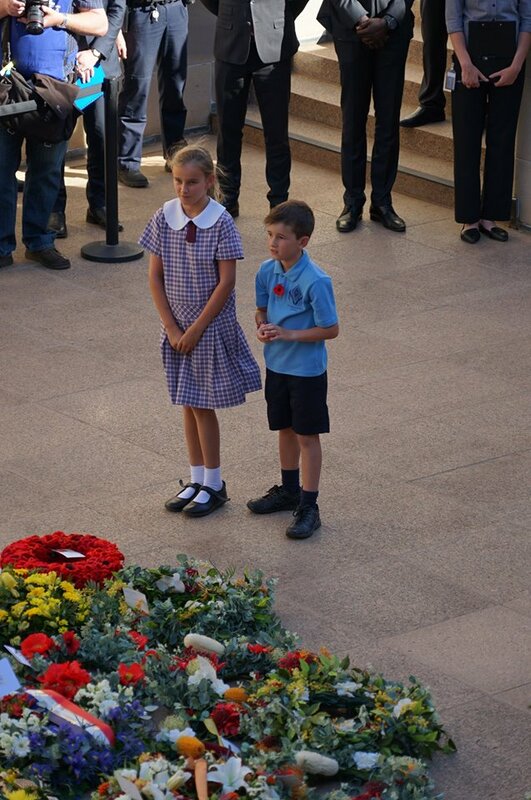 The ceremony ends with the sounding of the Last Post. 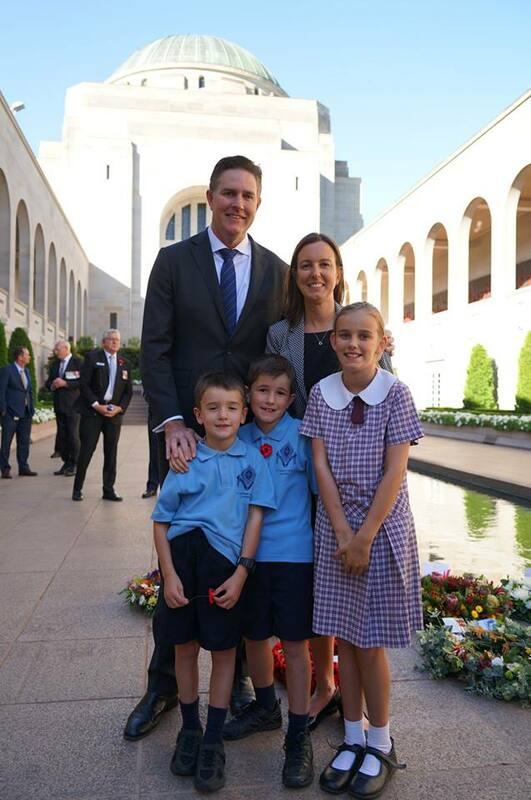 From February to November the Last Post Ceremony includes Australia’s Federation Guard (on the first and third Wednesday of each month). 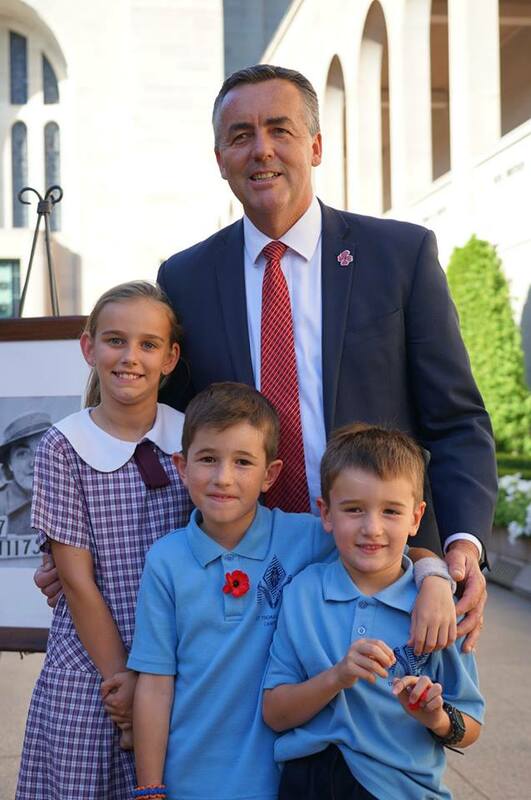 The Hon Darren Chester MP, the Minister for Veterans’ Affairs, Minister for Defence Personnel and Minister Assisting the Prime Minister for the Centenary of ANZAC was photographed with the family after the service.